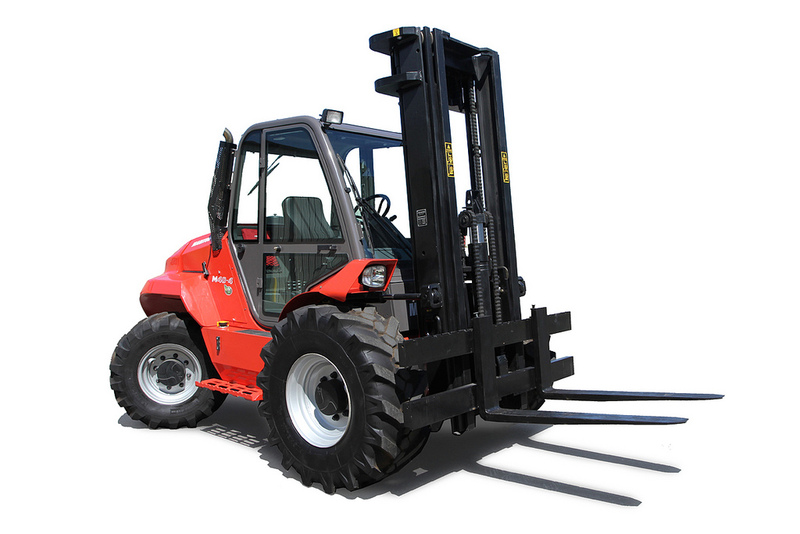 The M 30-2 masted forklift truck is designed for sectors where activities involve extreme conditions (construction, the timber industry, mines, etc.). A truly all-terrain forklift truck, it comes equipped with 37 cm of ground clearance, allowing for excellent manoeuvrability, with optimised dimensions for improved stability. The large number of masts available for this unit have all been designed for use in demanding environments or with longer loads–the result of Manitou’s expertise put into practice, they are suitably robust and easy to use. And with a 75 hp engine, the M 30-2 is powerful enough to ensure optimal work efficiency. The M 30-2 H offers a high level of performance when dealing with difficult terrain. With its 37 cm ground clearance, it can safely handle even the most uneven ground whilst the hydrostatic transmission gives you flexibility and precision during extreme handling operations, whilst maintenance for the 75 hp engine is made easy with a fully opening bonnet. The masts were designed using Manitou expertise for robustness over time: handling operations couldn’t be safer, regardless of terrain conditions. And the spacious driver’s cab is accessible from two sides, with a full panoramic view. 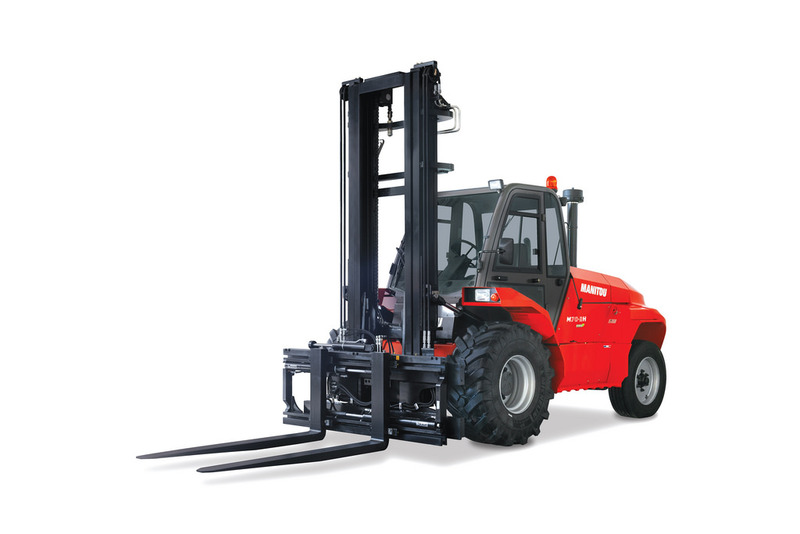 The M 30-4 is the ideal forklift truck for extreme handling conditions. Quarries and the mining and timber industries are just some of the areas where this machine excels, providing excellent efficiency. Sturdy and robust, it comes equipped with 4-wheel drive and is designed for outstanding terrain resistance. 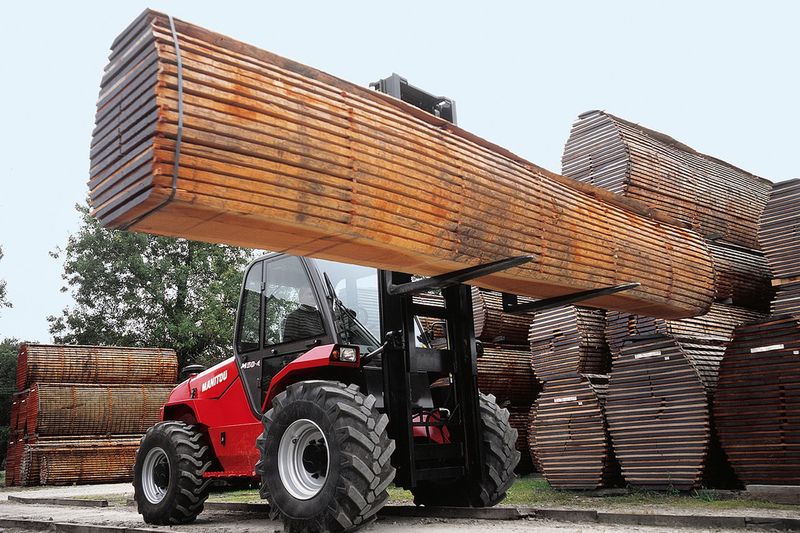 Manitou masts provide excellent robustness for off-road conditions, with a lift height of up to 7 m. And for even better performance, there is a wide range of tyres available for maximum versatility. 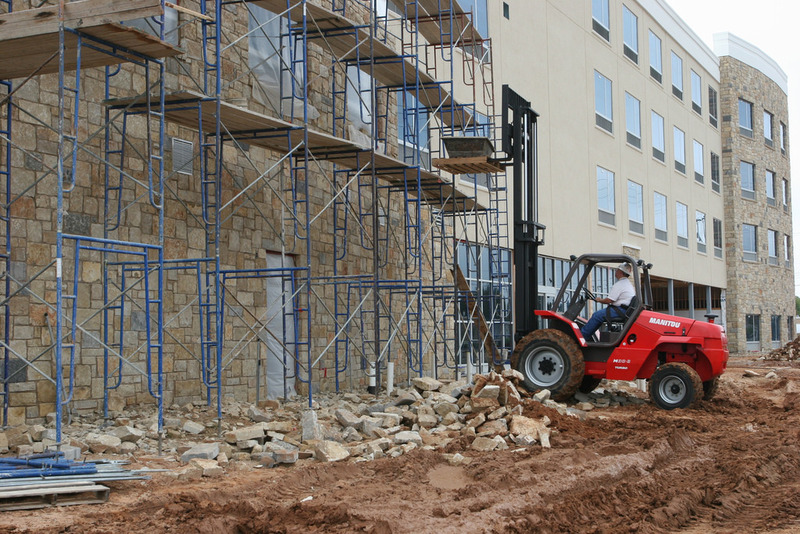 The M 40-2 forklift truck can handle even the roughest terrain. It was designed with the construction, timber and mining sectors in mind, where adaptability to challenging ground conditions is crucial. With a 36 cm ground clearance and a 75 hp engine, stability and manoeuvrability is ensured at all times, with a maximum load capacity of 4 tonnes. The wide range of tyres available for this machine allows you to increase performance based on the specific needs of the site. Maintenance for this robust little machine is made easy for operators, with all key parts being kept under the bonnet for quick access for a longer service life. The M 40-2 H is designed for the construction and timber industries, quarries or any other sector requiring an all-terrain forklift truck. It has a 4 tonne maximum lifting capacity running off of a 75 hp engine. Ground clearance stands at 36 cm with 2-wheel drive for good manoeuvrability and stability, regardless of the terrain underneath. The hydrostatic transmission ensures optimum flexibility during manoeuvring and approaches, which translates to better on-site productivity. And to better adapt to the various ground conditions it comes up against, a wide range of tyres are available for the M 40-2 H to ensure maximum performance, regardless of the circumstances. 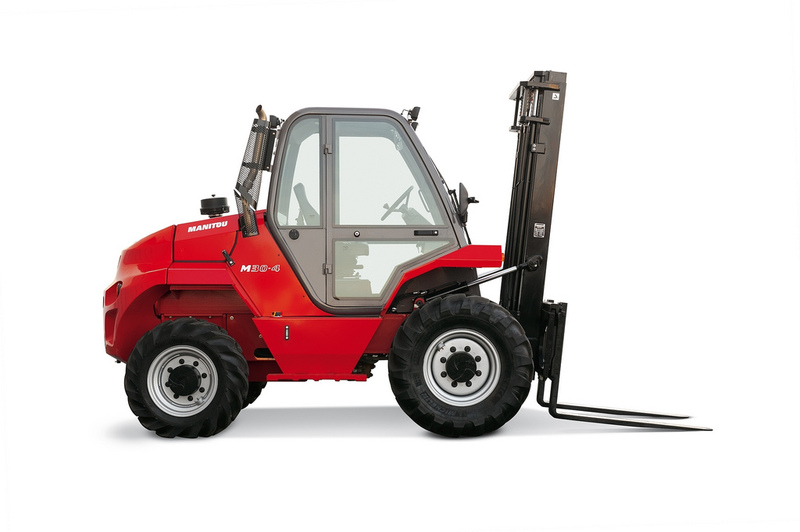 The M 50-2 forklift truck is designed to be able to handle complicated ground conditions. Simple and robust, it’s at home on any type of terrain with its 36 cm ground clearance. 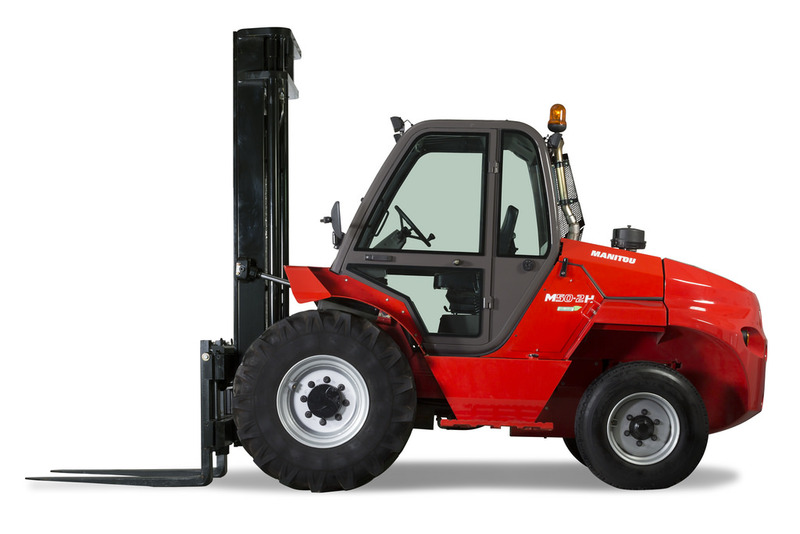 The large variety of tyres available for this forklift and a 75 hp engine mean it’s powerful and flexible enough to adapt to any situation, whilst the fully opening bonnet gives complete access to all essential machine parts for easy maintenance. The driver’s cab is spacious and accessible from both sides, with ergonomic controls so it’s easy to quickly get up and running. A rounded rear counterweight and full 360° surround vision from the driver’s cab ensure maximum visibility and safety. 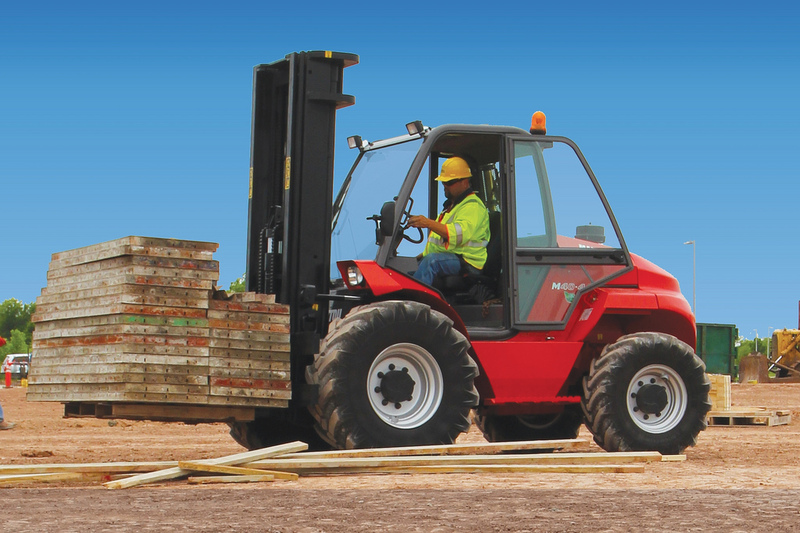 The M 50-2 H forklift truck is designed to easily handle complicated ground conditions. Simple and robust, it’s at home on any type of terrain, with a generous ground clearance for safety of movement. Shock absorber technology means the load remains stable regardless of the terrain being traversed, whilst the hydrostatic transmission offers flexibility and economy of movement when manoeuvring. The driver’s cab features transparent glazed screens combined with a rounded counterweight for excellent visibility, and is suspended so vibrations aren’t felt as strongly. To simplify maintenance, the whole of machine parts can be found under the bonnet. The M 50-4 forklift truck is designed for activities which need to be performed on rough terrain or where obstacles are present. With 4-wheel drive, 36 cm ground clearance and a turning radius of 3.4 m, this machine offers excellent manoeuvrability regardless of the circumstances. And for even better adaptation to the various types terrain faced, a wide range of tyres is available for optimal performance. The driver’s cab is accessible from both sides and offers a spacious working area with ergonomic controls. And with full 360° surround view, ground team safety is enhanced as well. The M 70-2 H allows ease of use in your field of choice thanks to its panoramic cabin, ergonomic levers and Shock Absorber technology. 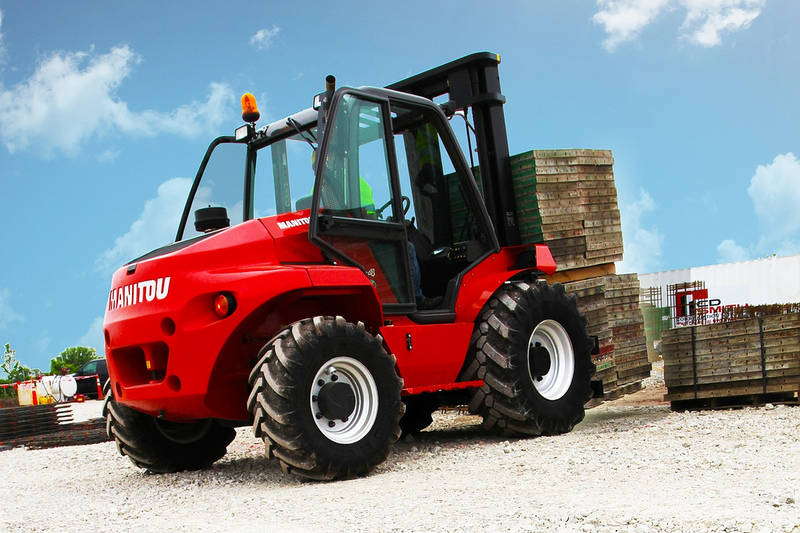 This forklift’s engine, crossing capacity and exceptional characteristics ensure higher productivity on any terrain.